Welcome back and here we are 5 days into 2018 and I am sure by the end of this month I will start mouthing the cliche "I can't believe January is already gone!". I took two weeks off the blogsphere and it was such a refreshing break. Frankly I was absolutely burnt out with blogging the last two months of 2017 so the break was hugely welcomed. 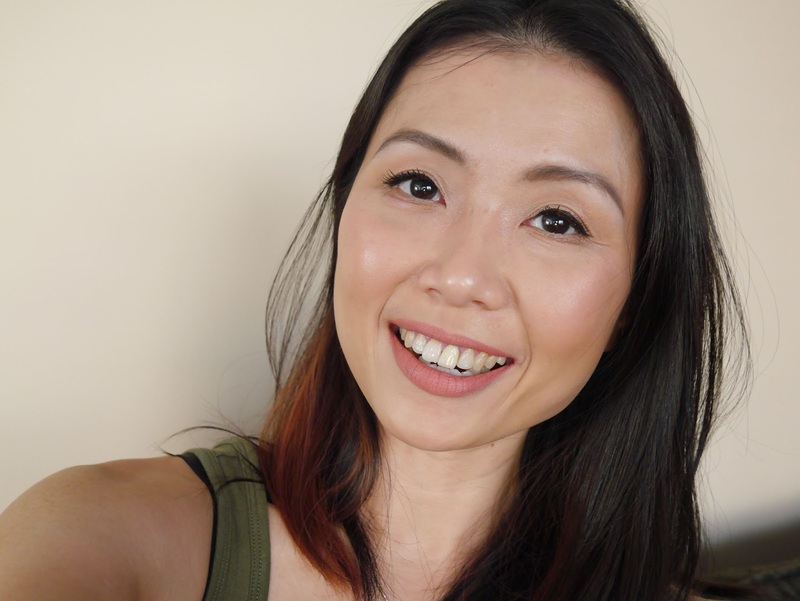 Today I am back with another WishTrend product review and after my mediocre experience with their Green Tea & Enzyme Powder Wash* (reviewed here), I really hoped this cream would absolve the previous let-down. I received the new TECA 1% Cream* back in mid December so I had a lot of time to experiment with this cream. This cream is an interesting one and I don't have anything quite like it in my stash. 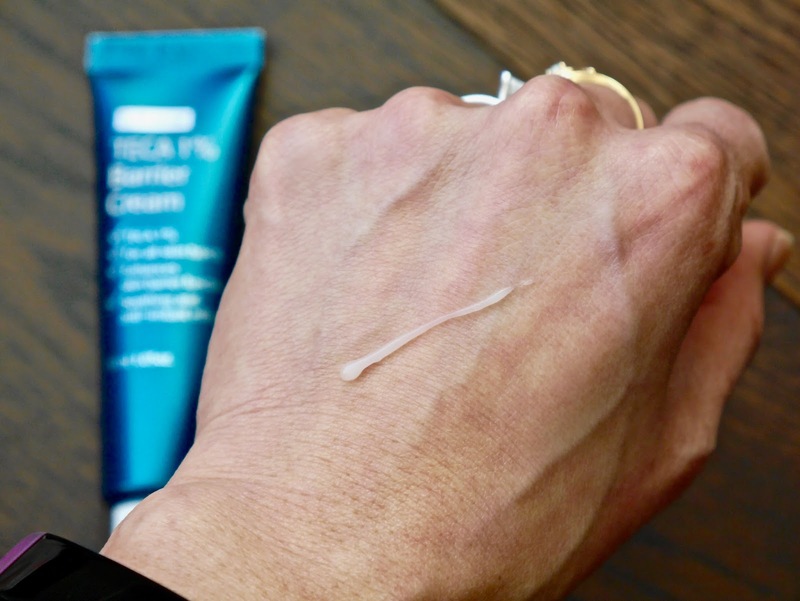 It's marketed as a product that creates a protective layer to keep moisture and active ingredients within the skin while strengthening, calming, and regenerating the damaged area. 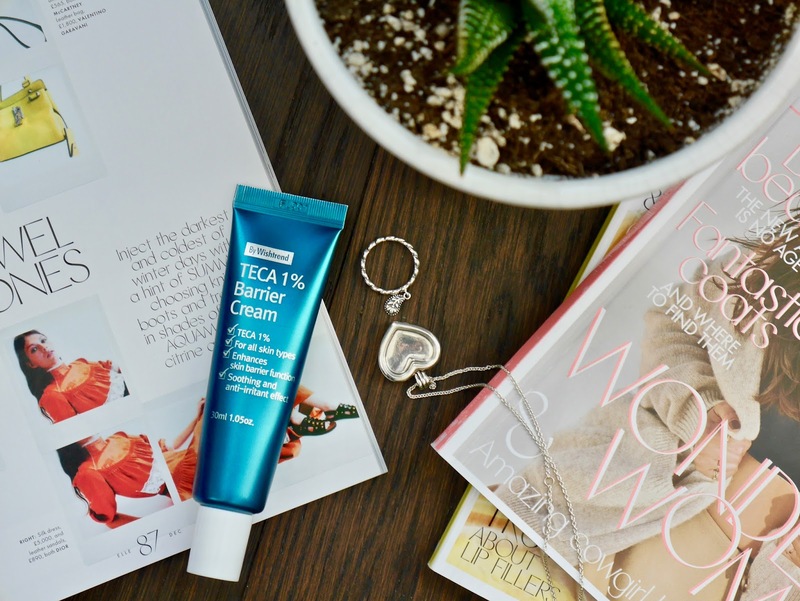 TECA 1% Cream* has a very short ingredient list and the key ingredient is Centella Asiatica which is commonly known as Gotu Kola. It's rich in amino acids, beta carotene, fatty acids, and phytochemicals which helps to improve the synthesis of collagen and skin tissues. 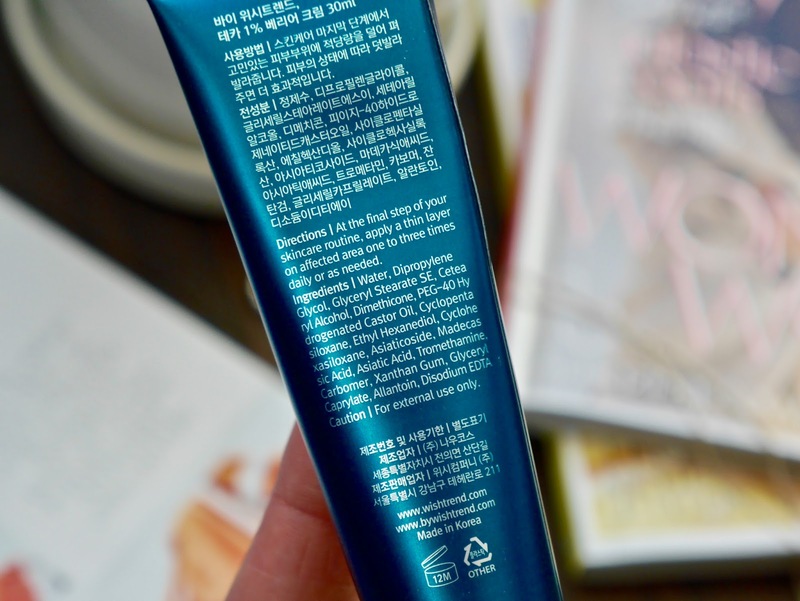 I checked for Centella Asiatica in the ingredient list but I saw none which initially confused the heck out of me so thankfully Jenny mentioned in her review that Asiaticoside, Madecassic Acid, and Asiatic Acid are compounds found in Centella Asiatica extract. 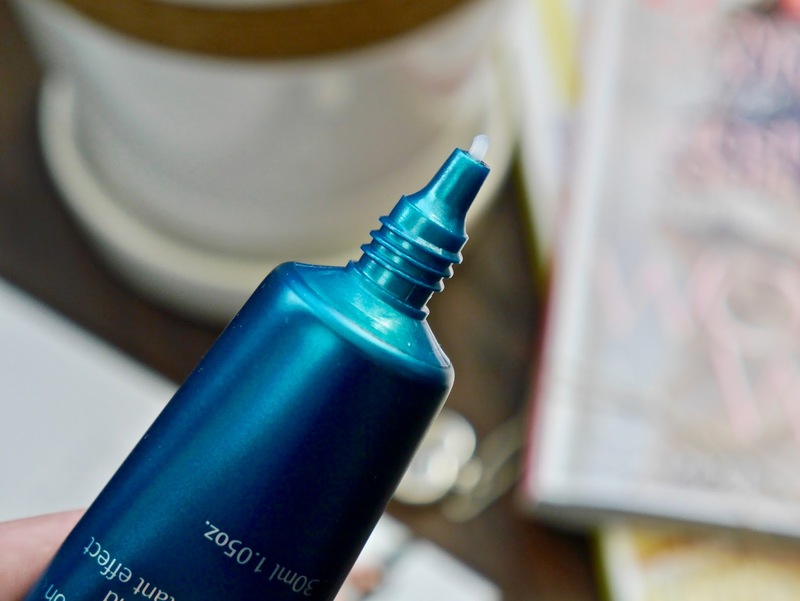 The other noteworthy ingredient which is familiar to me is Allantoin, well known for its skin soothing and repairing abilities however its listed as the second last ingredient. 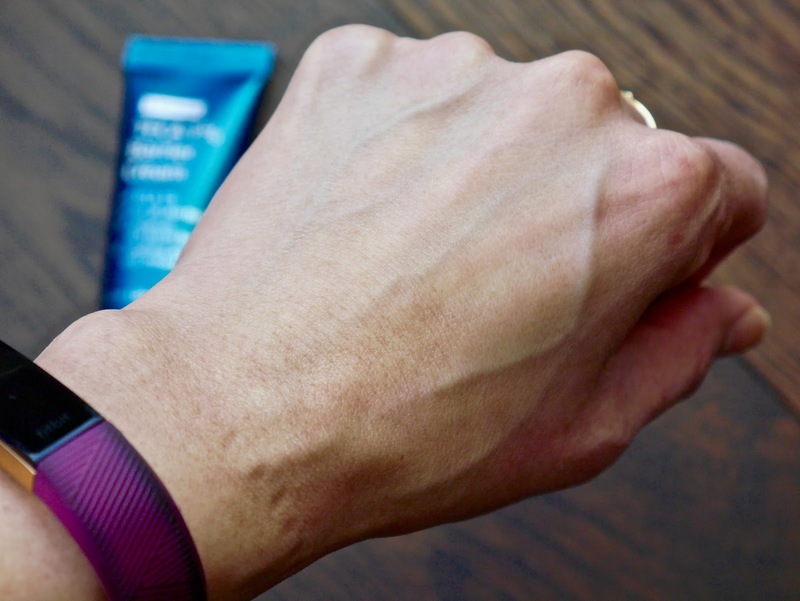 The texture is anything but a cream, it's a very light gel and it absorbs almost instantly into the skin. It has a very silky and smooth feel to it which comes as no surprise as demethicone (silicones) is fifth on the ingredient list. I know some are up in arms about demethicone but I personally don't mind it as it creates a protective layer on top of the skin and I am not sensitive to it. I tested this cream both as a spot treatment and as a moisturizer and I much prefer the former. As the latter it does almost nothing for me, the texture is too lightweight, not hydrating enough and it does nothing worth noting for my skin. Where it truly shines is when used as a post acne/spot/pimple treatment! This cream not only helps to dry and heal my spots, I noticed that the dreaded pigmentation also faded much faster. The biggest difference was on my right cheek where a cluster of dark spots have reside for the past 3 months after a horrible breakout. I dedicatedly applied this cream on the area and the scarring faded considerably after 1 week! And now after 3 weeks, I don't even need to apply concealer on the area anymore. So now to the biggest question, is this cream worth purchasing? It's a 100% yes for me as I haven't tried another cream that helped to heal my spots so quickly! I highly recommend this to anyone who has sensitive and breakout prone skin, I think you'll be surprised at what this little cream can do for you. [WISHTREND] TECA 1% CREAM is retailing for US$27.50 and available for purchase on WishTrend.com.